And so yet another year passes and for me probably the richest year so far music wise, so much so that i've had to divide my list this year into two, first up my top 30 favourite Ambient/ Exprimental/ Noise/ Drone releases and an indie pop one to follow at some point. There has been release after release of quality experimental music this year, more than one could ever digest, even Leyland Kirbys three CD epic was too much fmy attention span to cope with let alone the plethora of great ambience that we have been blessed with this year. I could easily have made this up to 50 and have quite possibly just not had chance to hear a number of fantastic albums, as was the case last year, some of my favourite albums of 2008 were either not heard until mid 2009 or didn't hit me until well after the end of 2008, not least Grouper's Dragging a Dead Dear Up A Hill and Jacaszek's Treny alongside pop discoveries Hot Lava and the Okmoniks. It goes without say that from my list last year The Fun Years would now probably be battling for first place alongside the aforementioned Grouper. So here it is, as mentioned an indie pop list will follow at some point, below though are my favourite 30 Ambient/ Exprimental/ Noise/ Drone releases of 2009, i've included EP's as often these can stretch in length to almost an hour. I'm sure you all know how can "try before you buy" as ever though i'd encourage you to buy where possible, Boomkat, Norman Records & Smallfish should suit your needs. I've included links for the net release albums, Phantom Channel and Resting Bell are well worth generally checking out, they have spoilt us with fantastic releases all year round. And by all means check out the Under the Spire label who for me just pipped Phantom Channel for my favourite label of the year...just. Also worth a mention is Wixels 12 Records in 12 Months. I've not heard them all but would recommend Norway and Clouds if nothing else. A joint first place for the same man Mr Brock Van Wey who stole my heart mid way through the year with his epic ambient dub soundscapes that carried all the magic of Julianna Barwick and Jacaszek wrapped in the crackles and warm blanmkets of the Fun Years welcoming drones with a spinkling of dub echoes. Both albums are awesome, We Were the Sun being the more critically acclaimed of the pair. 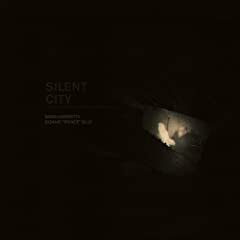 Brock Van Wey has amassed a quietly rabid following for his muted output on the Quietus label. These recordings remain separate to his dancefloor productions for Meanwhile and Styrax, instead exploring beautifully tempered zones of twilight ambient and drifting electronica comparable to his peers like Stephen Hitchell and Rod Modell. As the label states in its manifesto it's "...music that represents their true voice... not just that which they feel others will accept", meaning Quietus music is lovingly crafted with a personal touch, made to communicate with the few who understand it, as opposed to the masses who either don't, or are too cynical to fall for its charms. 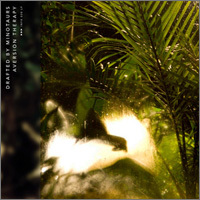 Aside from the final track, each composition has a lengthy average time of 15 minutes, giving Van Wey space to calmly develop majestic cloud-like structures of droning synth tones with hazy washes of reverbed harps on 'It Mattered Once', or billowing dub chords stretched to the horizon on 'You Will Know Where To Find Me'. 'Live To See The Day' is guided by the cinematic reverie of composers like Harold Budd, and the ebb and flow of 'Time Will Tell' will appeal to anyone familiar with Eno. As ever, these copies are in very short supply and once they're gone... Gorgeous. I'd toyed with the idea of investing time into Animal Hospital, i was aware as some may well not be that the aforementioned band are not as twee as they sound and in fact one of a million recommendations last.fm had thrown my way care of my obsession with the Fun Years and other "drone"/"soundscape" types. Some intrigue, some disappoint, as always there will be a hundred poor/ average artists to every great one whatever the genre. Animal Hospital on first impression fall very much into the latter class, mesmerizingly brilliant and refreshingly innovative. Not afraid to drag songs past the fifteen minute mark, but not needlessly as bands of the instrumental variety have a habit of doing. Each note is gently pulled into the realms of sound with care and finesse, sieved to ensure that only quality comes through and the odd bit of experimentation, chilli and chocolate, peanut butter and jam, things that shouldn't work but do and in a more than pleasant manner. Note 5 mins 39 seconds into the glorious His Belly Burst, the guitars out of place, out of tune and yet fitting in like they'd been born to be there. 2 minutes into 2nd anniversary the guitars enter again, two notches too high on the amp, yet the contrast works perfectly. The closing track Memory swells and ebbs and flows in a way not achieved quite so elegantly since Johann Johannssonns IDM Manual album, a quite beautiful discovery. The people behind Brooklyn's Barge imprint have clearly spent the last six months trying to work out how to follow up last year's jaw-dropping "Baby, It's Cold Inside" album from the oddly monikered 'The Fun Years', one of the most satisfying and immersive releases of the year. Their response? Why they've only gone and produced this astonishing, multi-layered epic from Kevin Micka, aka Animal Hospital. "Memory" is a record that engages with familiar techniques and proceeds to completely f*ck with the programme. The album starts with a shimmering duet for music box and guitar, laying the foundations for what's to follow. Except things don't quite develop in the manner you might expect if you're into this sort of delicate, engrossing home listening, "His Belly Burst" is up next and slowly evolves from the sound of a mournful, solitary Cello (beautifully played by Jonah Sacks), to a rumbling, droney, sometimes distorted mass of sound that brings to mind the post-post-rock of, say, the Constellation label, or Mogwai's quiet/loud blueprints but with a completely unfamiliar backbone shaped by electronic, experimental and classical traditions. By the time "2nd Anniversary" sweeps in it becomes hard to really identify what sort of album you're listening to, finding yourself in the presence of distilled, affected guitar noises that lie somewhere between late, treated John Fahey and Neil Young's amazing soundtrack for the film "Dead Man" - the dissonance at once jarring and deeply moving. In turn, "A Safe Place" sounds like a cross between Oval, Tortoise, Mika Vainio and Radiohead, rearranging and rewiring human sounds inside reverberating bass and malfunctioning electronics before Micka's voice resonates through the sparse elements to ground the music in a deep, mournful clearing. Fuelled by coffee and heartache and recorded in an old bank, an antiquated movie theater lobby, and various apartments around Virginia and Cape Cod, It's left to the 17 minute title track to close the album with perhaps its most astonishing and heart-wrenching segement. The opening once again seems indebted to Tortoise, but the unusual, wordless vocal layering introduces entirely different dimensions. 8 minutes in and things become quietly colossal, merging sweeping strings, twangy, edgy drops with extraordinary arrangements that keep you at once transfixed and disturbed. And that's the thing about this amazing album - it has all these different, wildly incompatible ideas that somehow come together and merge into eachother, making use of electronic devices, shelves of effects, delay units, as well as shiny guitar tones, vocal washes, and dramatic build-ups that create a unique sound you're unlikely to come across again despite all the familiar elements squeezed in. It's the realisation of one man's messed up vision, held together by things that shouldnt work but somehow really do. Just awesome. A real delight to hear the Osso string players re-arrangement of Sufjan Stevens debut album, reminiscent of David Axelrod at times and of course The String Orchestra, a wonderful surprise for anyone just expecting another 20 plus song Sufjan epic. I'd kind of lumped Sufjan Stevens in with the Devendra Banhart crowd and in some ways maybe that is fair, on others it’s purely coincidental and probably quite a n a l of me to do so. I fell out with Devendra, so to speak, when i saw him at ATP, around the time of Cripple Crow, when he was prancing around thinking that he was Jesus and singing about little boys. I place him alongside Herman Dune in that it's clear that he has talent but he is far too self obsessed for me to have any time for the said talent. Quote: Run Rabbit Run is not a new Sufjan Stevens album exactly, and neither is it about John Updike. Instead, it is a version of Stevens' 2001 album Enjoy Your Rabbit, reimagined for the New York string quartet Osso (who provided the strings for Illinoise). Originally commissioned by Bryce Dessner for his Music Now Festival, Stevens, Dessner, and the Osso quarted decided that they needed to document this music on a physical format. The songs, rewritten for strings by such composers as Michael Atkinson and Nico Muhly, among others, comprise a song cycle about the Chinese Zodiac. Having not heard the original i can't comment on how true it is to that but i can confirm that this is plain beautiful stuff, like Dirty Three and Esmerine at their most accesible and quite possibly a contender for album of the year in my humble opinion. Beautiful string based "post-rock" or maybe "instumental" would be more apt. A delight for the ears. Early Sufjan Stevens album Enjoy Your Rabbit finds itself reinterpreted and transformed by Osso, a collection of string players who have toured not only as part of Sufjan's band but as supporting players to other Asthmatic Kitty stars such as DM Stith and My Brightest Diamond. The modern classical tone means that this record is a perfect fit with that other recent Sufjan-related release, BQE, which revealed the full extent of the Michigan songwriter's orchestral ambitions. These arrangements (by the likes of Nico Muhly, Michael Atkinson, Rob Moose and Olivier Manchon) reveal Stevens' composerly abilities in great detail, rattling through the animals of the Chinese zodiac ('Year Of The Ox', 'Year Of The Rooster', 'Year Of The Snake' and so on) in glorious fashion. You certainly don't have to be familiar with the original to appreciate the musical endeavour on show here either: Run Rabbit Run is a great listen in its own right. I love albums in which you can completely lose yourself in, the swells seeping into your mind, wrapping you up in a blanket and leaving you totally oblivious to everything around you. Loren Dents Anthropology Vol.1 is such an album, spine chillingly beautiful. I can only really echo the words of norman records below, a fantastic album. BEHOLD! An offering from the ambient gods of Infraction. Dust off thine finest goblet, pour from your favorite bottle, remove thy clothes and be pure. Get back to nature and absorb the wonder of pure ambient beauty and message from the heavens that is Loren Dent's 'Anthropology Vol.1'. From the moment I hit play and shiver at the beauty of the intro I realize I'm destined to experience a journey into myself and the wonder of life. The tones here are profoundly uplifting (although there are some darker moments of uncertainty) and moving in a way I am simply unable to articulate. Sadly I'm no "Ambient Shakespeare" but I will say that this is like a soundtrack to life itself, one of joy, love, fear, pain, loss, grieving, euphoria and one which transcends time. Emotions that are integral to the human spirit, despite the age/time in which it exists, be it a modern or an ancient world. This stuff is deep, DEEP material. At one point I was almost reduced to tears, as I felt like I was the only living thing on the planet and felt very lonely... Man the power of music, the sound of those strings. Loren Dent is an extremely gifted artist to the point where it almost feels like there has been a divine hand in the creation of his sound world. His wondrous layers of sound are rich and constantly evolving, always emotional and hypnotic. His tools are both analogue and digital and his use of both is a joy to behold. For any ambient music lover that may have been disillusioned lately and possibly feels that the genre has been reduced to mere simple drones, then I'm fairly sure this will restore their faith in the genre. This deserves a prestigious place in the hearts and minds of all music lovers. To reference particular tracks, for me would be a pointless exercise as this really serves as a complete work... However... To accompany the CD is a USB stick of out-takes from the album which contains 36 tracks of which I've merely scratched the surface. It's a super stylish object in screen printed tin and only 100 of these were created. Flooring stuff all round and if you want to avoid disappointment on the USB stick I would urge you to act quickly. AMAZING STUFF! Again this year the net labels have treated us to some delights, Herzog a.k.a Bill Bawden delivered the First Summer EP with devastating effect, drones and distant pianos combined magically, not least on the closing 11 minutes of the strangely entitled lately i've been dreaming of drinking sound from a fountain, pushing the experimentation one step further, some may find the icy interference an annoyance but for me it only magnifies the icy beauty. A real delight. Resting Bell is really happy to welcome herzog, a.k.a. Bill Bawden and his latest EP “first summer and the running dream”. Bill’s previous releases on Serein were the first netaudio-works I got in touch with. And you also might know him from his fantastic release on 12rec. So what an honour to do a herzog-release here on Resting Bell. 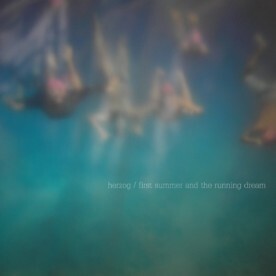 “first summer and the running dream” contains 5 tracks with a complete duration of 30 minutes. Compared to his earlier works “first summer…“ has a more droning, a bit distorted character. The sounds are layered very softly and sublime to a very harmonic composition. The overall mood is quite laid-back with noisy, distorted splinters. The noisy elements are getting stronger to the end of the EP but it leaves still a very harmonic picture. For me a perfect soundtrack of the season. Watching raindrops on the window and feeling wind in the hair. An absolute delight, impossible to get bored of, for those awaiting a new Fun Years album let this tide you over until that glorious day arrives. Marking major departures both for 12k and its owner, Taylor Deupree, this 7" is the label's inaugural vinyl release (the first in a forthcoming series on the format) and a clear step away from digital music for the renowned microsound exponent. These two pieces came about from pottering around on a rainy day with some loop pedals and a collection of instruments including acoustic guitar, kalimba, and bells. Deupree explains: "Pixel, one of my cats, was sleeping next to me as I began to create a warm bed of drones and small noises in an attempt to warm the room and my spirits." As it so happens, the cat in question does actually contribute to these pieces, lending a wheezy snore to the music, immediately bringing to mind the reposeful feel of a Bagpuss episode coming to a close. Deupree's instrumental contributions are incredibly restrained, typically focusing on the minutiae of the timbres involved, only snatching at suggestions of melody rather than going all out for conventional musical cogency. If any single constituent is the primary focal point for this music its the deep, thick atmospheric hiss that permeates every fibre of the clear vinyl onto which its pressed. You can most assuredly hear a difference between this music and Deupree's main thread of work (for a great recent example of which you can take a listen to the new digital issue of his Sea Last composition), but almost regardless of the subject matter or content of a recording his instincts seem to be hardwired into looking beyond the surface of any sound he works with, and so it should come as no surprise that despite spurning digital tools in favour of realtime and organic means, for this vinyl outing the infinitesimally detailed musical approach remains firmly grounded within the established, beautifully abstract Taylor Deupree soundworld - and that should be regarded as a very good thing indeed. I tend to ignore more and more anything that Aidan Baker does, not because he's bad but generally because like Machinefabreik and perhaps Peter Broderick to some extent, there is just too much output by the guy. 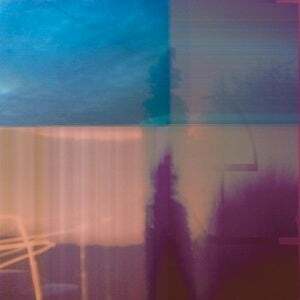 Fortunatley his collaboration with Tim Hecker last year proved that he does know how to collaborate well and having already been hugely impressed by thisquietarmy this was a release not to be missed. Sadly this seems to have been ignored by most but those who give it a try will be richly rewarded by the low end brilliance that this pair have cooked up. The opener Briksdal being a perfect lesson in the meeting of acoustic instruments, noise and nature sets up Norway as the best of Wixels 12 releases this year. Feet walking through snow, cold winds blowing, waves lapping, it doesn't get much better. slow swelling loveliness that ensues after 3 minutes or so. Jotunheimen seemlessly abridges Briksdal and continues along all muffled and windy. I've had mixed opinions over Mika Vainio, end of year lists have been raving over his Black Telephone of Matter album which to me is very difficult listening. I'm more than glad that i stumbled over this fantastic EP first. Vandal follows the lead of RHK and Grista Lichtenberger in the Raster Noton series, blistering and often brutal techno like Ben Frost if he didn't have the power to hold himself back, awesome stuff. We're struggling to contain our excitement over the latest in Raster Noton's Unun series, following essential excursions from Aoki Takamasa, NHK and Grischa Lichtenberger with four tracks of absolutely immense nasty beats and techno reductions from Mika Vainio! It's fully acknowledged that we have a man-crush on this producer, but it's totally justified when he gives out analog brutalism of this variety. There's a definite theme of northern-European destruction going on with this 12" with titles like 'Vandals' and 'Goths' connecting the downright rotten noise aesthetic to the notoriously fierce tribes of northern and central Europe. Three of the tracks opt for hiphop breakbeats and slower tempos similar to the NHK release, before bludgeoning the rhythms with extreme noise-force, but the standout for many will be 'Barbarians'. To our knowledge it's the first 4/4 techno track he's made for nearly 10 years, taking cues from the arrangements of tuff Chicago patterns before eroding them with a caustic noise substance to sound like a nightmarish Marcel Dettmann. F*cking A+ - DO NOT MISS!!!! Much like Loren Dent, Chihei Hatakeyama managed to perfect the ambient drone sound, whilst not creating anything new, he managed to hit all the right spots on the lovely Saunter, released a label that had a very special year, this perhaps being the pinnacle of it. Although the title might intimate a certain amount of nonchalance, this magnificent new album from Tokyo-based electronic composer Chihei Hatakeyama (the second to be released since his excellent Kranky debut Minima Moralia) sounds far from casual. Every fibre of this sonic tapestry has been fastidiously and thoughtfully arranged into position, instilling the music with a depth that can be appreciated both on close inspection and as a warm, auditory duvet to hide yourself away in - comparisons to Taylor Deupree's Northern wouldn't be untoward. Hatekeyama has declared that Saunter is his musical interpretation of the monochromatic Chinese painting style Sansui-Ga (which is presumably also mirrored in the sleeve photography), and further to that, it's an album that sets out to interpret landscape, nature and the encroachment of winter. It's very easy to make these sorts of evocative, abstractly associative statements, but an entirely different proposition when it comes to substantiating them. Hatakeyama's album might just be one of those rare works that truly does offer an emotional springboard into some figurative sonic universe though. It transcends both the customary micro-drone categorizations and the purely decorative allusions of run-of-the-mill ambient music. Take 'Small Pond' as an example of Hatakeyama's modus operandi: it's a glorious little thing, and a wonderfully impressionistic portrait of its subject matter; Hatakeyama lays out a shimmering surface of tonal sustain dotted with flickers of guitar, all encased in immersive rainy timbres. At one point you hear a figure walk across the scene from left to right, trudging through puddles in a brilliantly tactile and physically rendered fashion. Within four minutes the piece really does set the scene for a rainy day spent by a surface of water - which may seem like a fairly unremarkable achievement, but when you consider this is done predominantly by employing musical suggestion and metaphor over matter-of-fact Chris Watson levels of scrutiny, it's actually rather special. Another artist with seemingly endless releases this year, each one brilliant but sadly too many for me to fully digest. One that stood out though, which i expected from the second i realised it was via the impecable Phantom Channel net label was Orb Night four tracks of twinkling magic with dark droning undertones, maybe a contender for a soundtrack to Tim Burtons adaptation of Alice in Wonderland, truly wonderful stuff. Ekca Liena, the work of the prodigious Dan Mackenzie, created quite a stir with his monumental debut ‘Slow Music For Rapid Eye Movement’. Issued via the excellent Dead Pilot Records, this record was a stunning collision of monolithic drones, volcanic guitar and cascading ambient soundscaping, that led those in the know to draw comparisons with Stars of the Lid, Tim Hecker, Fennesz and even Mogwai. One critic even labeled it as ‘..a piece of music that may alter your perception of the word epic’. Mackenzie has not rested on his laurels; as well as founding drone outfit Plurals he has been busy recording new material for both Dead Pilot and Under the Spire Records, while remastering ‘Slow Music…’ for a wider release. Phantom Channel has also commissioned a piece from Mackenzie, entitled 'Orb Night', and is delighted to welcome his Ekca Liena project into our blossoming roster. Yet again Under the Spire delivered the goods with this enchanting release by Fins Ous Mal, reminiscent of Colleen and Hannu, twinkles wrapped in fireside crackles...delicious. A surprise inclusion maybe, but Brian Harnettys collaboration with Bonnie Prince Billy was a truly wonderful exercise mixing samples, bluegrass and some fantastic keys and breakbeats. The second half of the album, from the title track to the end are particularly magical. Hannu's Worms in my Piano has long since been a favourite of mine, his two releases this year took forever to touch me, Hintergarten has still not home, Harhailua though has pulled through, perhaps the icy weather has helped. Harhailua twinkles like Colleen or a more rough around the edges Amiina even Múm on the glitchy Hakolahti. Although Finnish this release is a sure fire recommendation for all those Icelandophiles out there. Delightfully wintery. Hannu's sublime debut album 'Worms In My Piano' tapped into a rich vein of delicately abstract electronic music spearheaded by the likes of Colleen and Hannu's compatriots on Fonal - most notably Es, whose rough-edged loops and folksy otherness found a kindred spirit. This new album for the excellent Kesh label takes the agenda a step further into loveliness, embracing harps, glockenspiels, and all manner of frost-dappled samples, evoking a wintry wonderland filmed in Super-8, full of grains and vintage production quirks. It's often the simplicity of these arrangements that makes them so successful: the combination of mysterious field recordings and elegaic horns on 'Kautta Aikan' brings to mind the haunted songs of Lau Nau or perhaps even Mùm at their best, while 'Masseudun Tulevaisuus' is an unruly patchwork combining scratchy instrumental snippets - like a Lucky Pierre album conceived in Moominvalley. Taking the music in a slightly different direction, 'Hyyris' and 'Hakolahti' embrace electronic beats, but retain that endearingly decrepit sound that characterises the rest of the album, perhaps recalling Kim Hiorthoy's early homespun emissions. An absolutely gorgeous and atmospheric assemblage of electronic songs that's sure to find great resonance in the snowy climes of this February, a massive recommendation. A regular listen for the last six months, Drafted By Minotaurs perfected the practice of dragging each note out, squeezing out its full beauty and resisting the temptation to fall into full on white noise. Its sometimes the case that the leftovers surpass the main meal, like the cold beef you have with chips and mint sauce the day after the roast, or the cold pizza from the night before. Or like one of your mothers meals when she cooks like she's still cooking for five growing children, often the leftovers are just too good to throw away. In the case of Molly Berg + Stephen Vitiello came together for a soundtrack project commissioned by Brazilian video artist Eder Santos, whose video portrait of a lonely, zoo-dwelling gorilla (named Idi Amin) was the starting point. Although only a three-minute piece was required of the duo, they improvised their way through forty minutes of guitar, clarinet, vocals, field recording and electronics, the results of which then became the basis for this charming and beguiling album. Organic and whimsical this album enchants from beginning to end, combining the beauty of the dusky forest sounds with slow burning drones. Highly recommended. Followers of electronic music should already be acquainted with the distinguished output of musician and sound artist Stephen Vitiello. His work has previously been published via labels such as Sub Rosa, while sound installations have been exhibited at the Whitney Biennial. Add to this collaborations with Machinefabriek and Lawrence English and Vitiello's CV reads very nicely indeed. Molly Berg comes from a very different background, having previously appeared on recordings by Cracker and Magnolia Electric Co. songwriter Jason Molina. The two Virginia-based artists came together for a soundtrack project commissioned by Brazilian video artist Eder Santos, whose video portrait of a lonely, zoo-dwelling gorilla (named Idi Amin) was the starting point. Although only a three-minute piece was required of the duo, they improvised their way through forty minutes of guitar, clarinet, vocals, field recording and electronics, the results of which then became the basis for this charming and beguiling album. The sound field on The Gorilla Variations carries an enormous amount of depth, with each piece representing a finely tuned balance of instrumentation, processing and sounds from the natural world. Above all else this is an approachably musical album, casting electroacoustics in a wholly accessible light - the pieces each take their different instrumental focuses and delve into collaged composition, playing melody against acousmatic timbre for a sonically gratifying intertwining of song structure and soundscape. Highly recommended. Another dreamy, heavenly release from Phantom Channel, it'll send you to sleep...in a good way. Thick, melancholic and evocatively haunting soundscapes created entirely by guitar, the music of Sleeping Me employs a balance of delicacy, power and gentle reverb to present an affecting sound that's resplendent in its warmth and fiery beauty. 'Lamenter', closely following stunning debut full-length 'Cradlesongs' on celebrated Australian imprint Hidden Shoal, proves that Sleeping Me's sound finds peace in even the most heartbreaking of circumstances, rarely has the devil's instrument of choice sounded so heavenly. Beautiful piano work, reminiscent of Rachels or Eluviums timeless Prelude for Time Feelers, especially lovely on the title track. Another one of those incredible records that appears out of nowhere and absolutely floors us - housed in a sublime vinyl edition printed up in an extremely limited run - fans of Nils Frahm, Peter Broderick, Rachels, Max Richter or The Necks - DO NOT MISS!!!!! * The Humming Conch label introduced itself earlier this year with the wonderful Celer release Capri and now continues to impress and raise its stock with this new limited edition vinyl pressing from the mysterious Tiago Sousa, who teams up with drummer (and co-producer) João Correia and clarinetist Ricardo Ribeiro. Sousa assumes the lead roles: he's the composer, guitarist, organist and pianist, fashioning a delicate and utterly sublime sequence of instrumentals, each captured via recordings made "in a small bedroom at Barreiro"and mastered by none other than 12k's Taylor Deupree. Insónia is Sousa's fourth record and draws upon his accumulated knowledge of classical, experimental and popular forms, all blended into a single suite of compositions. 'Movimento' opens the album exchanging forlorn sounding piano motifs with downbeat strung guitar passages that will leave you gasping for breath. The latter half of the A-side is especially strong, drawing to a close with unaccompanied recordings 'Reflexo' and 'Insónia'. The title track in particular is just exceptionally beautiful, a piano solo that might be the most accomplished, well-made piece of its kind since Gonzales turned his hand to the format five years ago. You can hear the influence of Satie, or even Chopin's Nocturnes at work here, and Sousa's poised, expressive performance is quite magical. Insonia feels more modern, and somehow, more mature than the main thread of classical-styled records that have come our way this year. It's all too easy for countless Max Richter-ites to assume the language of classical music - to dress themselves up in its vestiges - without actually engaging with its disciplines and heritage on a level that goes beyond the surface, but Sousa and his cohorts never try to be anything they're not and instead revel in the strange fusion of influences that produced this record. Illustrating this is the switch between 'Insónia', a very restrained composition that's very much in the romantic classical idiom, and 'Folha Caduca', which paints an entirely different picture, creating something thats lodged between the supreme post-rock styled eloquence of Rachel's and the avant-jazz experiments of The Necks. 'Surrealismo Impressionista' reaches even further out towards the margins with organ and clarinet drones, toying with suspenseful mimimalism while the piano's mournful, emotive qualities continue to draw your ear. There are only a very small number of this amazing record pressed up for the world, we urge you to grab one while it's still in circulation. Adrian Klumpes ('Be Still' - The Leaf Label and formerly of Triosk) and hellosQuare's Shoeb Ahmad come together as a duo tracing their way through minimal composition, bathed in electronic noise and analogue systems to bring us ten pieces of shimmering beauty, loop studies and kosmische drone. I still stand by my claim that Ben Frosts predeccesor to By The Throat, Theory of Machines is the best there is when it comes to the Noise/Experimental genre. On By The Throat the formula is modified slightly, more songs and more exprerimentation. The brutality remains and is stupidly effective on probably the best opening track to any album this year, the wonderfully harsh Killshot. Elsewhere Híbakúsja stands out, maybe not as good as Theory of Machines but still an excellent album. Ben Frost's 2007 album Theory Of Machines caused quite a stir within the electronic music community, shattering genre conventions with its deft conflation of intensely dark metal, academic electroacoustics and blissful, drone-weaving modern classical touches. By The Throat takes these same principles and develops them into something altogether grander. This is an album of contradictions: during the opening piece 'Killshot', you'll be exposed to music that's both viscerally hard on the ears and achingly beautiful, combining gracefully cinematic dulcimer melodies and mesmeric swells of noise that swirl amid a sea of nerve-shredding electronics. The track segues into a dirge of howling wolves with 'The Carpathians', a piece of doom-laden menace that competes with the grimmest moments of SunnO))) or KTL in terms of intensity. We're only a couple of tracks in so far, but already this is shaping up to be pretty special. Despite opening with a tuneful flurry of string plucks, 'Hibakusja' soon reveals a darker side, collapsing into a horrifying mess of respiratory unpleasantness, as if soundtracking a drowning man trying to keep afloat - the field recordings of someone desperately drawing breath take on a creepily emotive timbre once immersed in serrated noise signals and melancholy string arpeggios. This is no easy ride, yet despite the disturbing undercurrents and horror soundtrack tactics this album never ceases to sound beautiful. Co-produced by Frost and the dependably excellent Valgeir Sigursson, By The Throat also owes some of its sonic prowess to contributions from Amiina, The Arcade Fire's Jeremy Gara and fellow Bedroom Community star Nico Muhly. This formidable and far-reaching body of work might be one of 2009's most singularly impressive listening experiences, and very likely the only record you'll hear this year whose repertoire consists of both luscious classical chamber compositions and the hunting calls of killer whales... A very high recommendation. I'd prevviously discovered He Can Jog via a blog, who posted the excellent Virtual EP, six short tracks of experimental IDM, i'd kept meaning to see if there were any releases, eventually i stumbled over this on the Net Label Distance Recordings and what a pleasant surprise it was, just three tracks, one spanning to almost half an hour and another almost making twenty minutes. The music remains fresh and interesting in a way that much music over ten minutes struggles. Attention is kept as the pieces progress, flittering and twinkling through electronic disturbance and best of all it's available right now for your consumption. A very special artist indeed. Following on from his successful 'Middlemarch' album released on Audiobulb Records, Brooklyn based artist Erik Schoster brings us these richly textured live improvisations with processed sine waves, and micro-cassette field recordings. These were culled from the rehearsal sessions leading up to his show at the Zeitgeist Multi-disciplinary Arts Center, in New Orleans last year. 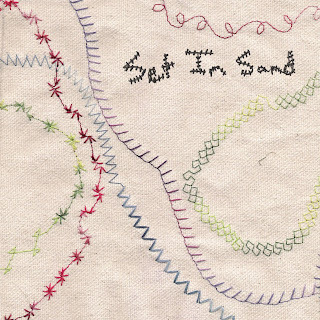 I know very little about Set in Sand other than they make loveable, playful electronica mixed with nosiey drones. A new 5 song instrumental EP from Set in Sand, leaning in a more ambient direction than earlier work. This album’s abundant textures and wormy melodies are a one of a kind musical experience, great for ears seeking a listen that is only divisible by itself. In a year when James Blackshaws crown may well have been stolen by Alexander Turnquist, James more than rose to the challenge with yet another gorgeous album, straying even further from his guitar to mix quite beautifully pianos and strings in a most welcoming manner. Reliably exceptional. Freshly signed to Michael Gira's Young God Records, James Blackshaw returns with another step forwards in his creative evolution, marking a further inclination towards broader composition than ever before. No longer does it really seem fitting to describe Blackshaw as a mere guitarist; given the advanced instrumental range on show here, you'd have to think about categorizing this man alongisde the Peter Brodericks and Max Richters of this world, With pieces like 'Fix' and 'Arc' Blackshaw reveals a whole new side to his talent, laying on strings and piano, setting aside his principal instrument of choice. Twelve-string fans needn't concern themselves however, this is an album that features an abundance of Blackshaw's signature playing style, and a recording like 'Cross' brilliantly combines the virtuosic ragas on which he made his name with unexpected elements such as a string arrangement and perhaps most unpredictably, a choral component. Imperiously good stuff from a great talent. A busy year for Brock Van Wey, more ambient dubbiness from the man behind BvDub, this time a pallindromatical album reinterpreted on the second disc by Intrusion. The Intrusion half really steals the show, the closing trilogy is simply epic. Arguably a simple album, but an excellently executed one at that, Farandole and album closer Pebble Beach where two of the most exceptional pieces of "straightforward" instrumental guitar compositions heard this year. A most welcome, if somewhat overdue second album from Finnish duo The Gentleman Losers, whose eponymous debut set hearts aflutter in the summer of 2006. That first LP's blend of dreamlike faux-vintage instrumentals is carried over to this new set of songs, but there there's a noticeably heightened sense of depth to the writing on Dustland. At first the muffled, anachronistic tone of the album might be likened to the sort of thing Bibio albums encroach upon, but 'Silver Water Ripples' takes us into much more naturalistic, organic terrain, with the ensuing 'Echoing Green' building upon this, suggesting both Colleen's delicately spun loop structures and Vincent Gallo's enduringly brilliant When album. A couple of tracks later, 'Bonetown Boys' finds the band at their very best, calling back into service that creaky old breakbeat from the last album while supplying a quivering blend of instrumentation that sounds like some imaginary Western soundtrack being played out on an old Victrola. Much of the album plays out without any drums, but when a beat does kick in (as on the sublime closing shot, 'Pebble Beach') it melts into the valve-powered heart of the record, adding muscle without breaking the illusion of this music being something dug up many moons ago. Another highlight worth bringing to your attention is 'Farandole', which evokes a '70s horror movie without relying on the schlock and awe of Goblin-style prog synths. The chiming harpsichord melody twinkles spookily through a mesh of lapsteel, rhodes piano and sparse, twanging basslines. It's incredibly lovely, and importantly never really sounds like its been forcibly made to sound aged and weathered; it just does. Similarly cinematic, the blissful, fogged out warble on 'Lullaby Of Dustland' sounds like a Angelo Badalamenti score captured on a decayed 78 - another filtered elegy from a band who specialise in making their music sound like something from a romanticised past. Highly recommended. Released on the almost godly experimental label 12k comes the third album from the awesomely named Pole Tomasz Bednarczyk. Arriving around the time fellow 12k label mates Pillowdriver and Seaworthy were receiving massive praise for their guitar drones and experiments Tomasz for me seemed to fade into the background, its only with more recent listens that i've realised quite how wrong i was to do let that happen. Let's Make Better Mistakes Tomorrow is a delicate affair that very rarely strays from single notes left to their own devices, expanding and sustaining amongst glitches and vinyl crackle, some would say its drone by numbers and i wouldn't argue, it is however, very well done. After establishing his considerable talent on Room40 with the two albums Painting Sky Together and Summer Feelings, Polish electronic composer Tomasz Bednarczyk arrives at 12K with this wonderful new release. Recent entries into the 12K discography have made heavy use of conventional instrumentation - the Pillowdiver and Seaworthy releases taking guitar compositions as their starting point. Bednarczyk's new outing follows suit to some extent, utilising guitar and piano over the course of its ten tracks, but in this instance the instruments are far more deeply encoded within the Pole's electroacoustic soundworld. Stylistically you might pick up on influences from the likes of Stephan Mathieu, Tim Hecker and Janek Schaefer as the album unfolds; Bednarczyk pieces together electronically modified tones, environmental recordings and the kind of sonic artifacts you'd associate with the recording and playback processes (vinyl crackle, glitches etc) resulting in some spine-tinglingly effective moments. After a first half dominated by strident, often very crystalline electroacoustic threads, the album reaches a watershed at 'The Sketch', which features piano by Triosk's Adrian Klumpes and field recording by Sawako. The previously very outward-looking sonic landscape becomes introspective, embracing the sleepy grandeur of 'Kyoto' and the somnolent whirring of 'Little Spring' before arriving at the album's final destination, 'Night'. This last piece is another crackle-laden composition, this time calling upon a slow and wistful bass melody that loops its way towards a well-earned full-stop. Once its forty-three minutes are up, Let's Make Better Mistakes Tomorrow has proven itself to be an uncommonly well-rounded album, filled with ebullient micro-melodies and soulful textural exchanges - it's up there with the very best of 12K's releases in 2009. Although still very young, Bednarczyk has added to his reputation considerably with this brilliant disc. Kelpe's debut, Sea Inside Body is one of those timelessly great electonica records, one of those that Warp wished they'd released, one of those albums that comes with a sticker full of great reviews from every magazine under the sun. Cambio Weschel may not quite follow in its steps but it is business as usual, and maybe even funked up to the next level. Those who have become bored of electro since the NME's sudden interest will be more than happy with the deep pulses and grooves especially on The Blankout Agreenment and Close Cup Headroom. Boards of Canada in dance mood. One of DC Recordings most popular artists returns with his third album for the label, combining funked IDM electronics and hiphop with a heavy touch of cosmic krautrock. Recent single 'The Blankout Agreement' gets matters underway with loaded hiphop drums and wheezing synth tones, before Voice Of The Seven Woods drummer Chris Walmsley makes an appearance with tumbling psilocybic rhythms mangled with Kelpe's electronics on 'Closed Cup Headroom'. 'Eye Candy Bath' takes a moment to relax into droning sitar-alike synthlines and tabla percussion with electro bass, while 'Wind In The Windows' and 'Caution Site' are comparable to the dainty vintage electronics of Ghost Box's Advisory Circle. For the bass fiends 'Low Frequency Fumble' makes a nod in the direction of Dubstep, sounding like a psyched-out Bass Clef, while 'Microscope Contents' could be a disco version of Harmonic 313. A joyfully colorful and enjoyable listen. Originally avoided this like the plague as a number of reviews mentioned that horrible word, "Jazz", however this is complete with delciate smoky crackles and as has only just occured to me via the medium of Last Fm, is very reminiscent of the quieter parts of Godspeed. In the first instance i think it will appeal more to the Fun Years types over Post Rock fans. Highly Recommended. Viennese trio Dirac are made up of Peter Kutin, Daniel Lercher and Florian Kindlinger, who are all active participants in Austria's more experimental musical circles, working in the fields of sound installation and live electronics. Emphasis falls into the latter category, and is a shining example of what can be achieved by electroacoustic free improvisation. The album opens in a slow and ambiguous fashion, taking on a minimal, soaring feel during 'This Is Your 4am Wake-Up Call', which ticks in an Oval-inspired, skipping-like fashion. It's a rather gentle exercise, but a cooly meditative introduction to the sort of sounds that'll be explored in greater depth during what's yet to come. 'Augarten' is a lowercase affair, creaking, crackling and occasionally emitting loose, disloated notes from guitar and piano. It's quiet and relies on your close attention, but its marriage of musicianly understatement and sheer otherness rewards your full engagement. Next, 'Bantu' offers a more confirmedly musical piece, glistening with processed tuned percussion and woozy, elongated tones that take on a curiously jazzy feel. The final entry, 'A Rest In Tension' is a more simplified composition, embracing the kind of organically derived drone sounds you'd hear on a Tape or Mountains record. Recommended. Another fantastic piece of net label droney crackliness :) look out for a new release on Phantom Channel in the new year. Voder is Brighton, UK based musician Paul Nadin. This album is inspired by a recent trip to Iceland. Each track is an aural description of the various locations which he visited and made field recordings of; utilising dense resonant drones, creeping walls of noise and contemplative melodies to create a stunning album which we're pleased to have as part of the Distance catalogue. An excellent display of double neck guitar experimentation stretched over three wonderous tracks, female too. Mystery hides in the shadows, dreaming of colors that don't yet exist. Noveller is Sarah Lipstate. She is a young musician and filmmaker currently living in Bushwick, Brooklyn. When she is not busy working on Noveller music or making films she also plays guitar in the band Parts & Labor. Paint on the Shadows is her overdue debut LP full of beautiful floating guitar lines, breathtaking soundscapes and precise sculptures of spiraling sound created by Sarah using double-neck guitar, a tape player, and various electronic manipulations. Sitting comfortably between some of the most well done 'avant-garde' music and the new generation of new sound masters we have been bringing you lately. These are studio tracks recorded by Colin Martson and produced by Sarah Lipstate and Carlos Giffoni. Limited to 350 copies. Artwork by Caroline Contillo. Many thanks for this great list! Lots that I need to follow up & the welcome sight of Aidan Baker/tqa getting some rightful acknowledgement! i'm going to try and invest some time on some of the ones I haven't heard, but great lists. i'm a huge Fun Years fan, it was really nice to see you reference them occasionally. a reply email in december said the new album will be called, 'god was like, no'...one of the few things im excited for this year.